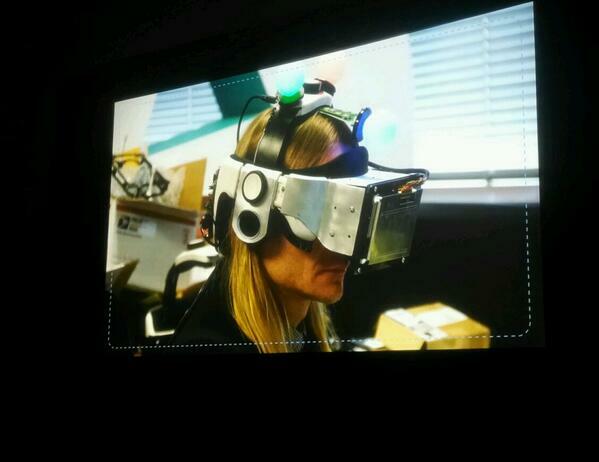 PlayStation 4 VR headset is entitled 'Project Morpheus'. 1080p display, 90+ degree field of view. 1000Hz rotation detection, 3 metre working volume in full 360 degrees. Audio jack built-in, but wireless headsets are also compatible. Headset design avoid placing weight on cheeks or nose. EVE Valkyrie confirmed for PlayStation 4. Thief from Square Enix has been recreated for VR. Also shown: The Castle, focuses on PlayStation Move & The Deep from London Studios. PlayStation 4 only, but anything's possible. 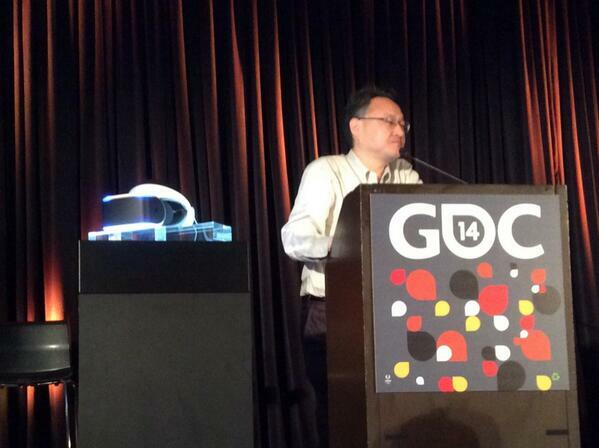 Project Morpheus works in conjunction with PS Move, will there be any feedback? Locomotion - hands in the videogame with PlayStation Move. What about feet? That's the end of Sony's presentation. What do you think guys? Thanks to VRfocus for the coverage http://vrfocus.com/ also https://twitter.com/Cb_VRGeek & https://twitter.com/karlkrantz for some of the pictures. If you were in any doubt before, I think it's pretty obvious now that VR is happening. It IS the future. Thank you Virtuix for letting me explore it with my own two feet. The future looks amazing for VR!